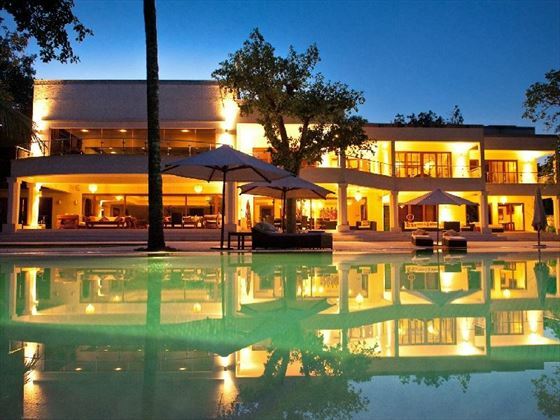 First-class luxury is paired with incredible, unspoilt views at Almanara Luxury Resort, a luxurious property that blends style and class with authentic African charm. 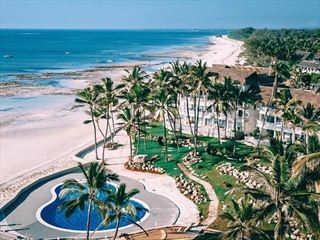 Nestled along Galu Beach, a secluded part of the better-known Diani Beach, you’ll enjoy spectacular views of the Indian Ocean around every corner. The six Executive Villas ooze glamour, with opulent interiors decorated with local artwork, and access to a gorgeous pool and Jacuzzi. 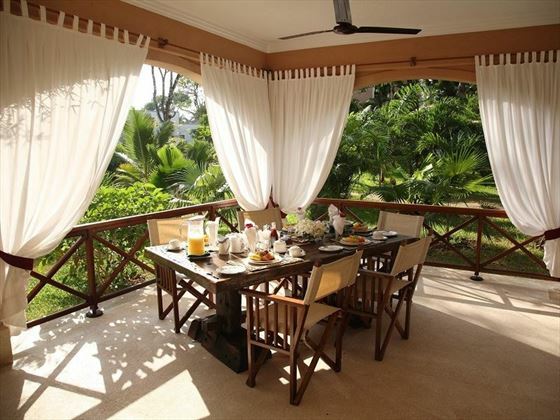 Each of the villas have three double-bedrooms, plus a scenic rooftop terrace where you can sip on a G&T as the sun sets. 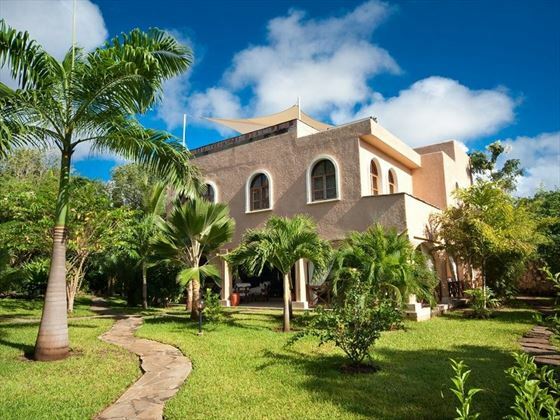 Meanwhile, the Boutique Hotel/Presidential Villa is home to three Deluxe Ocean View rooms and two Deluxe Ocean View suites, all offering a secluded and romantic stay, with an exclusive infinity pool, Jacuzzi, games room and bar to enjoy. Cloud Nine is a wonderful spa ideal for truly unwinding and revitalising. 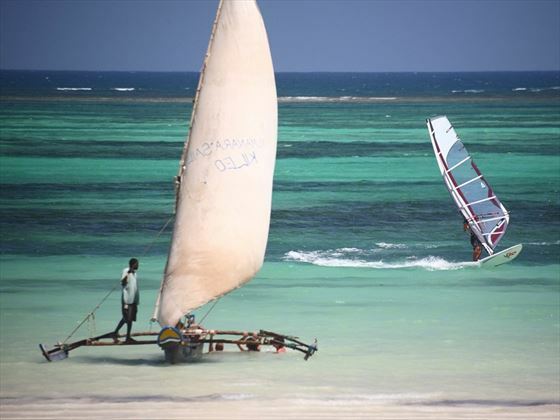 The soothing massages, facials and pampering beauty treatments are very indulgent indeed, whilst the white sand beach is host to an array of fun water sports, including kite surfing and snorkelling. 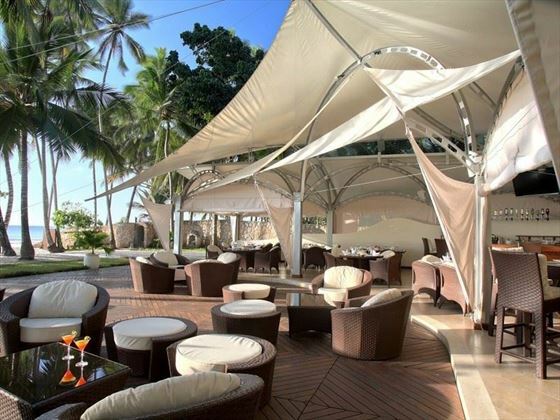 Guests receive their own chef and butler, but the Sails Beach Bar and Restaurant is well worth a visit – not only for its deliciously fresh, local cuisine, but also to see its unique canopy of sails and curved beams. 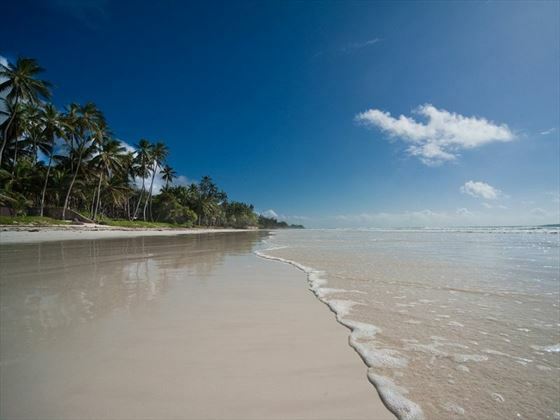 The resort is located on Galu Beach, a stunning part of the white sand Diani Beach just south of Mombasa. 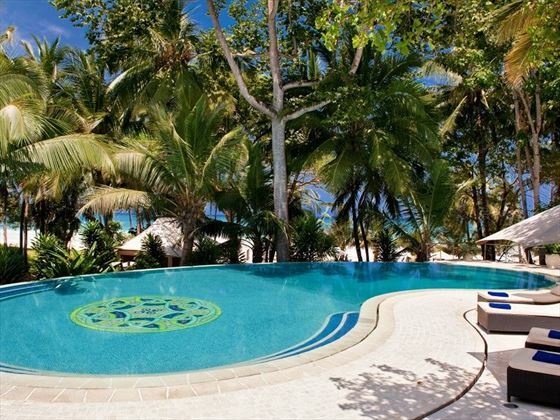 There are six Executive Villas, all individually decorated with local artwork and custom-made furnishings. All of the villas have three en-suite double bedrooms, and a beautiful open-plan dining and living area perfect for relaxing. 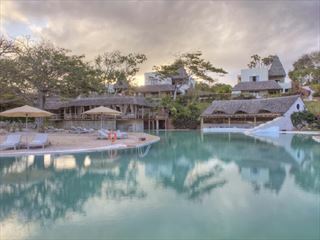 The expansive verandas are just as picturesque, and all guests have access to a tranquil lagoon-style swimming pool with a sunken pool bar. Your very own personal chef and butler adds to the luxurious charm, and you can end the day with a wonderful sundowner on the rooftop terrace. Deluxe Ocean View Rooms – Welcoming rooms featuring a super-king size bed, a walk-in wardrobe, a lovely marble bathroom, and a sliding door that opens up onto a scenic veranda, overlooking the Indian Ocean and the infinity pool. 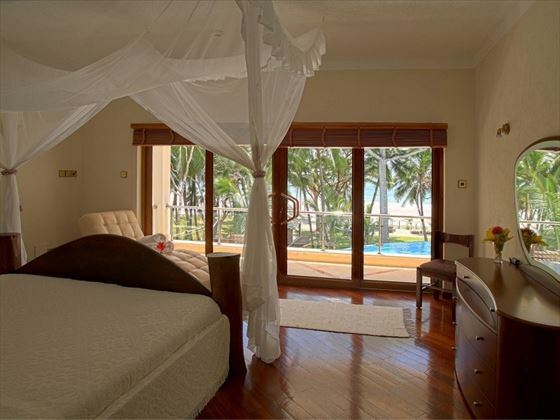 Deluxe Ocean View Suites – Perfect for honeymooners, these spacious suites have a romantic bedroom with a spacious seating area and dressing table, plus a large changing area that leads onto the marble bathroom fit with a Jacuzzi style bath. 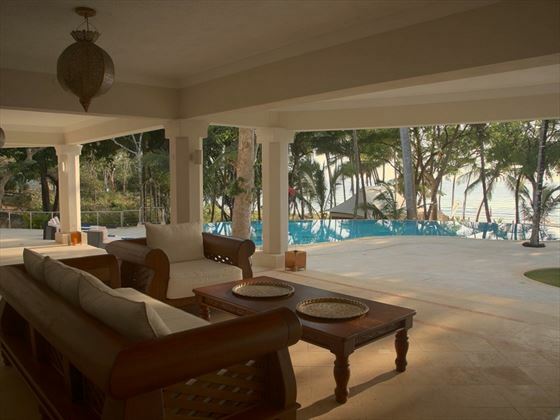 The picturesque balcony overlooks the sparkling ocean and swimming pool. Sails Beach Bar & Restaurant – Nestled on the beach front, this restaurant and bar is tucked beneath a canopy of sweeping sails and curving beams to create a unique look. The chefs cook up an array of flavoursome international cuisine for breakfast, lunch and dinner, and the seafood is delivered daily by local fisherman. Cloud Nine – A gorgeous Health & Beauty spa offering an array of soothing treatments that will revitalise your mind, body and soul. There are plenty of massage options, including sports and aromatherapy, or perhaps you could try a wonderful Indian head massage before pampering yourself with a pedicure. Yoga and Pilates are also available here, or you could add a bit of zest to your Zen with a Zumba class. 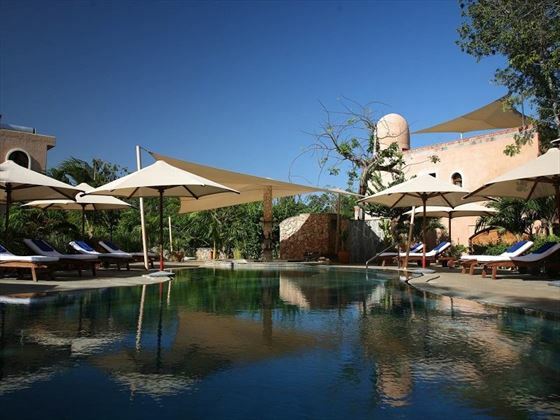 Afterwards, stroll around the garden and dine on fresh, locally sourced dishes, including fresh fruit and smoothies. 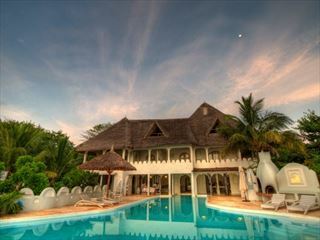 Found on a deserted beach along Kenya's coast, this secluded oasis adds a healthy kick to lavish beachside living. With rustic architecture, beautiful minimalist interiors and a wonderful outdoor area just steps from the ocean, this is a slice of paradise.